Today we'll be exploring Abashiri which is a town located on the most Northern coast of Japan and famous for its notorious prison and drift ice. In the evening we'll continue our journey in Hokkaido around to Kushiro. Abashiri is located at a latitude of 44 degrees north, is the furthest north we've been in Japan and has a reputation for extreme cold. However, Abashiri is actually slightly further south than Venice in Italy, which is located at 45 degrees north, which really goes to show how much heat the thermohaline circulation or North Atlantic Current adds to Europe. Anyway, we actually stayed in Kitami last night as all of the non-smoking rooms in Abashiri had been booked. Kitami is about 50km south west of Abashiri, and after waking up and checking out of our hotel we caught a train to Abashiri, which took about one hour. The reason we came to Abashiri is to see the drift ice! Drift ice is frozen sea ice which occurs when ocean water freezes in winter, which occurs around the north and south poles. In the northern hemisphere this occurs as far south as the sea of Okhotsk which is where Abashiri is located. Although it can sometimes be seen from the coast, the best way to view the drift ice is to catch a sightseeing boat which will travel out into the sea to find some, and then power through it! As these cruises can be quite popular it's important to book ahead, in order to ensure you don't miss out. We booked a cruise on the Aurora sightseeing boat company. They have an English website which has details about their cruises although unfortunately bookings can only be done on their Japanese website, which is what we used. The port is not located too close to the train station but fortunately there is reasonably frequent bus service which we used to get there. When we arrived we found heaps of people waiting to get on the next boat! The boats are pretty big though and we had already booked, so all we had to do was pay for our ticket and hop on. After a brief ten minute cruise we approached our first drift ice! The ice was is fairly thick sheets, but broken up into drifting mats of ice, with most of the sea surface water. A bit further on we came to big sheets where most of the sea was ice! The boat the ploughed through the ice which was lots of fun! The ice made all sorts of creaking and cracking noises as we broke though. We also sailed over some large pieces which caused our boat to list considerably before popping out from the other side with water cascading down. After about an hour sailing around through the ice the boat returned back to the port. There were a few small stalls in the main building and we bought some manju which are a sweet bun filled usually with red bean (anko), but also custard and other flavours. In Japan, Abashiri is most famous for one thing: the prison. 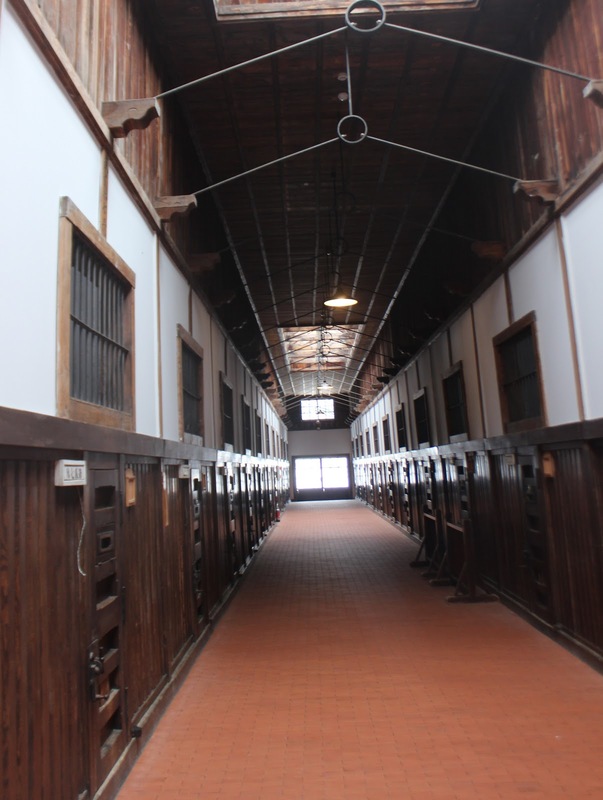 The prison was built in the 1800's to hold Japan's most dangerous criminals and was located in Abashiri due to its remoteness. It's a bit like the Alcatraz of Japan. There still is an operating prison in Abashiri though it was modernised in the 1980's and the old buildings were moved to the Abashiri Prison Museum. To get there we caught another bus. Despite the manju we'd just eaten we were still quite hungry, so we stopped in for another snack at a cafeteria like building next to the prison. The Abashiri Prison Museum is an open air museum and we spent about an hour walking around the grounds and looking in the various buildings. Inside the buildings we found models and such inside depicting what they would have looked like back in the day. The displays all had explanations in Japanese, English, Korean and Chinese. One of the interesting buildings in Abashiri prison is the radial prison cell block which features five corridors lined with cells that radiate out from a central point. This central point is the watch house which can therefore keep an eye on a large number of cell blocks at once. Once we'd finished looking at the museum we stopped in at the souvenir shop, which was offering free amazake, which is a low/no alcohol sake. 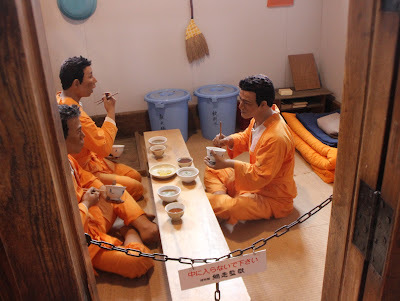 The prison is one of three museums located on Mount Tento, with the other two being the Museum of Northern People and the Okhotsk Ryuhyo (drift ice) Museum. 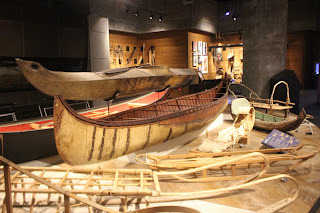 We had a small amount of time to spare before we had to get our train to Kushiro, and decided to make a quick visit to the Museum of Northern People as we had already seen the drift ice in the morning. Northern people means Inuit Eskimos, Japans Ainu, First Nations people of Northern Canada, and the Sami and Siberian people. 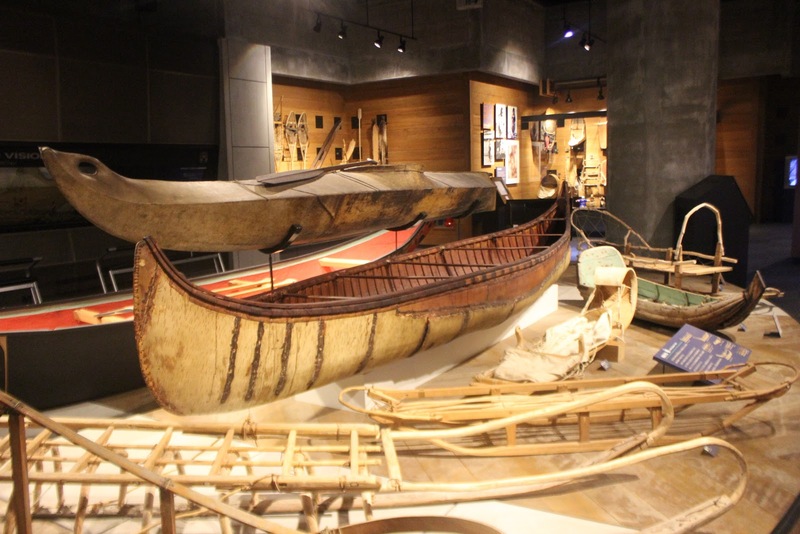 We paid 550 for entry and then had a quick look at the various exhibits which showed historical relics and artefacts and showcased a number of the interesting innovations made by northern people in order to survive in the harsh artic environment. 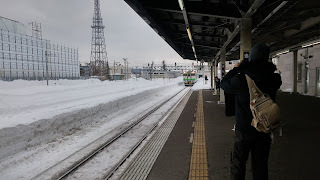 Before long it was time to catch the bus back to Abashiri where we boarded the 4:15pm train to Kushiro. The train was themed with Lupin the Third pictures, but was otherwise nothing special and slowly made its way around the Hokkaido coast, pulling into Kushiro at just before 8pm. Tomorrow we'll be visiting the Kushiro Marshlands which are the only remaining habitat where the endangered Japanese Cranes can be found!